If you're looking for an affordable way to get off road but don't fancy the look of a big and bold SUV, the Suzuki SX4 with its rugged styling yet compact dimensions could be the solution. Offering an elevated driving position, a spacious interior and four-wheel drive on some models, it's a solid option for those with a taste for adventure. 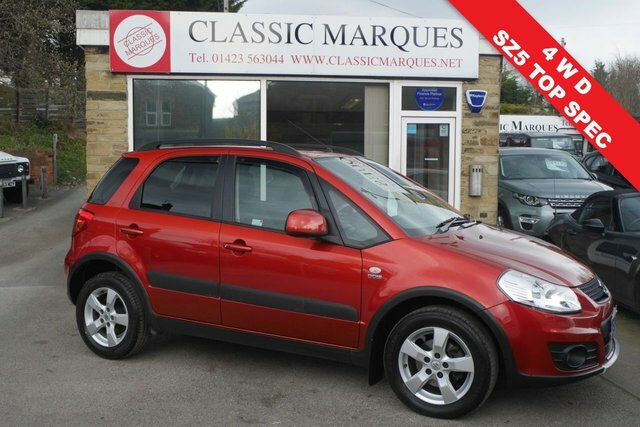 Why not take a closer look at the range of used Suzuki SX4 models for sale in Harrogate right now. You'll find all of our used cars listed here on the website and when you're ready to arrange a test drive, a member of our friendly and experienced team is only a phone call away.